IDC Reveals Worldwide Manufacturing 2018 Predictions. Manufacturers of every size and shape are changing rapidly because of new digital technologies, with some of the greatest impact today coming from cloud, mobile, big data and analytics, internet of things (IoT), and robotics. Manufacturers also have high expectations for the business value of technologies that are in earlier stages of adoption, such as artificial intelligence (AI) and machine learning, 3D printing, augmented reality/virtual reality (AR/VR), and even blockchain. This digital transformation (DX) is well under way, with manufacturers feeling the impact in all parts of the organization. The stakes are incredibly high. Basically, manufacturers must either become adept at digital transformation or struggle to survive. In 2017, global organizations will spend $1.2 trillion on digital transformation (DX), with discrete and process manufacturers contributing almost 30% of this spending. Forward progress is underway, and the investments are yielding tangible results. Manufacturers have made significant progress since we last benchmarked them in 2015 — increasing the percentage of manufacturers in the two most advanced stages (managed and optimized) of our IDC MaturityScape for Digital Transformation, from 20.5% to 30.9%. Historically, we’ve measured the health of the manufacturing industry based on productivity, but because of the pressure to digitally transform, we now look for innovation in business models and business processes as an indication of who will succeed in the coming years. It definitely isn’t enough to have technology for technology’s sake; manufacturers that can speed their adoption of digital capabilities in order to create business value will be the leaders of their industry. The results of DX are in the thinking supply chain, product and service innovation, smart manufacturing and Industry 4.0, and more. 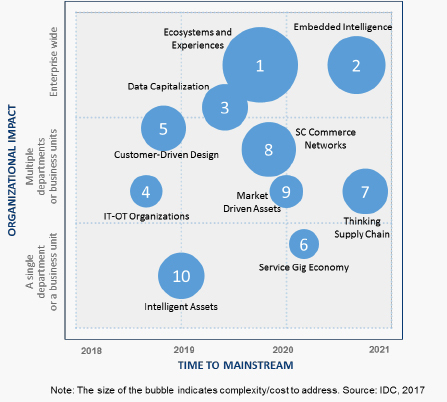 As a result, key themes woven into our worldwide manufacturing top 10 predictions for 2018 include the focus on ecosystems and experiences, greater intelligence in operational assets and processes, data capitalization, the convergence of information technology (IT) and operations, and rethinking work. Most of our predictions refer to a continuum of change and digital transformation (DX) within the wider ecosystem of the manufacturing industry and global economy. Prediction 1: Ecosystems and Experiences By 2020, 60% of G2000 manufacturers will rely on digital platforms that enhance their investments in ecosystems and experiences and support as much as 30% of their overall revenue. 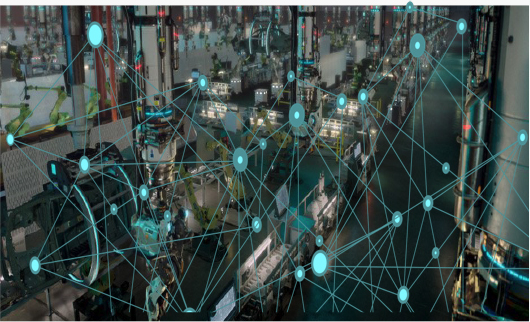 Prediction 2: Embedded Intelligence By 2021, 20% of G2000 manufacturers will depend on a secure backbone of embedded intelligence, using IoT, blockchain, and cognitive, to automate large-scale processes and speed execution times by up to 25%. Prediction 3: Data Capitalization By 2020, 75% of all manufacturers will participate in industry clouds, although only one-third of those manufacturers will be monetizing their data contributions. Prediction 4: IT-OT Organizations By 2019, the need to integrate operational technology (OT) and information technology as a result of IoT will have led to more than 30% of all IT and OT technical staff having direct project experience in both fields. Prediction 5: Customer-Driven Design By 2019, 50% of manufacturers will be collaborating directly with customers and consumers regarding new and improved product designs through cloud-based crowdsourcing, virtual reality, and product virtualization, realizing up to a 25% improvement in product success rates. Prediction 6: The Service Gig Economy In 2020, augmented reality and mobile devices will drive the transition to the gig economy in the service industry, with “experts for hire” replacing 20% of dedicated customer and field service workers, starting with consumer durables and electronics. Prediction 7: The Thinking Supply Chain By the end of 2020, one-third of all manufacturing supply chains will be using analytics-driven cognitive capabilities, thus increasing cost efficiency by 10% and service performance by 5%. Prediction 8: Supply Chain Commerce Networks By 2020, 80% of supply chain interactions will happen across cloud-based commerce networks, dramatically improving participants’ resiliency and reducing the impact of supply disruptions by up to one-third. Prediction 9: Market-Driven Assets By 2020, 25% of manufacturers in select subsectors will have balanced production with demand cadence and achieved greater customization through intelligent and flexible assets. Prediction 10: Intelligent Assets By 2019, 15% of manufacturers that manage data-intensive production and supply chain processes will be leveraging cloud-based execution models that depend on edge analytics to enable real-time visibility and augment operational flexibility. For each of these predictions, we suggest that manufacturers think about the impact on their IT organizations and on the larger business as well. An increasing share of IT spending and IT project management is coming from outside the IT organization. Yet eventually those IT investments must tie into the existing IT portfolio and enterprise architecture in a cohesive way, not to mention the fact that the IT organization may take on managing any IT assets that are acquired even through the line of business. For example with IoT projects, we know that only 40% of IoT projects are driven from IT and 55% are funded exclusively by business (based on the worldwide manufacturing results from IDC’s Global IoT Decision Maker Survey, 2017). Cultivate your IT talent and not just with the IT organization. Ensure that IT and line of business are collaborating as true partners in the selection and implementation of new technology for business value. Provide your employees with spaces where they can learn together, including makerspaces or fab labs. Work with small and large partners to accelerate your IT capabilities and serve the line of business. External resources and expertise can help you move quickly and effectively, which is essential in today’s global marketplace. In fact, we believe the speed of digital transformation is critical in the next couple years. Create a single source of the truth for your business. Data within your enterprise and from connected products, supply chains, and assets will increasingly be the starting point for new initiatives. Review your foundation to make sure it’s ready for increasing levels of digitally enabled products and processes. This isn’t just about your applications, datacenters, and networks; it’s also about core enterprise architecture and infrastructure decisions, such as integration and security. Evaluate your relative maturity in the adoption of new technologies and, more importantly, your ability to translate those technologies into digital transformation. You’ll probably move more quickly with some technologies, such as IoT and machine learning, but make sure you’re experimenting with all of the technologies we identify as innovation accelerators. While the predictions offered here largely focus on the near- to midterm (2018–2021), the impact of many of these will be felt for years to come, and we’re looking forward to what 2018 will bring to the manufacturing industry. 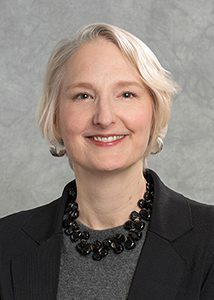 As a research vice president in IDC Manufacturing Insights, Kimberly Knickle is responsible for research and analysis of business and IT issues for manufacturers. She leads the IT Priorities & Strategies program, which focuses on hot topics and technologies that are changing the way manufacturers buy and use IT, such as digital transformation, big data and analytics, cloud, IoT, mobility, and 3D printing. The program also includes research based on IDC survey data related to manufacturers’ IT investment priorities and plans. Knickle also contributes to the Product Innovation, Service Innovation, and Connected Products research.